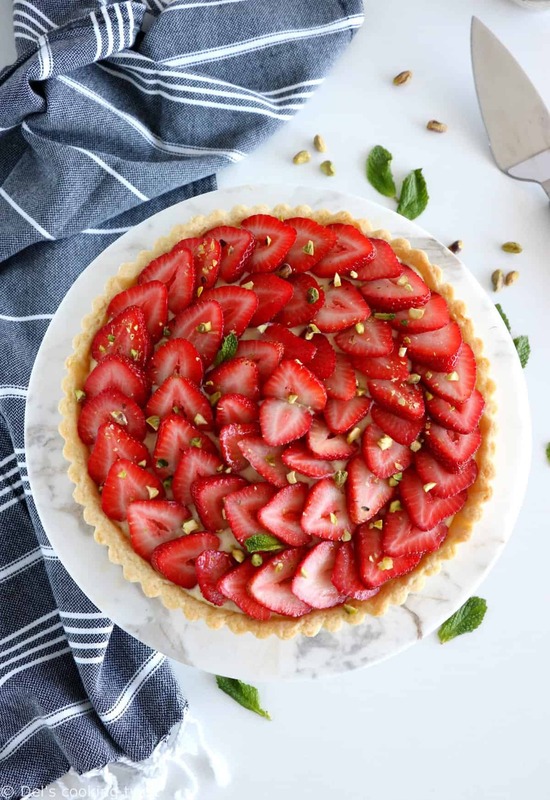 Discover the delicious and authentic French Strawberry Tart: a sweet pastry crust, a creamy vanilla pastry curd based on French Chef Philippe Conticini recipe, and some fresh strawberries on top. 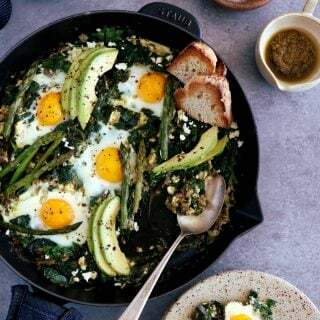 This recipe is a dream come true! Back to basics today with my monthly French baking recipe. This time, I’m sharing one of the most popular dessert when strawberries are in season, from early May to late August. Every French family makes this dessert every so often, and in mine, it used to be – and still is – the traditional dessert for my little sister birthday party. 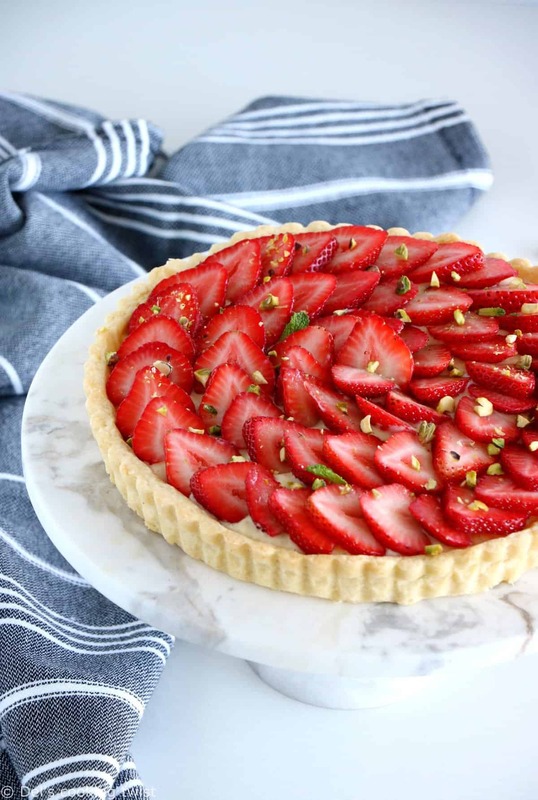 The French Strawberry Tart is more than a seasonal dessert. In people’s mind, it is deeply linked to spring in its blooming part, but also to family gatherings and garden parties on a hot summer afternoon. 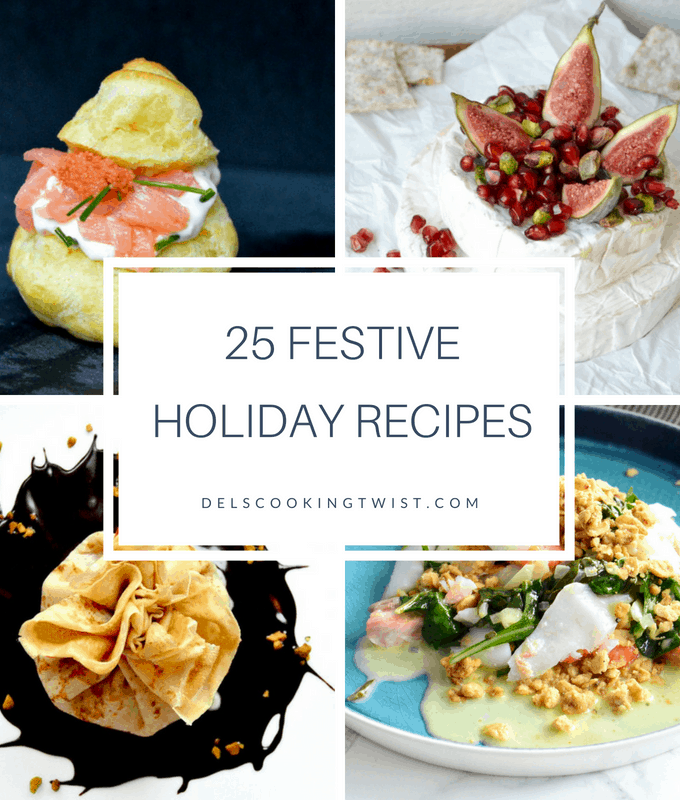 There is something festive in this beautiful dessert to share with friends and family: it’s generous, sweet, and delicious! 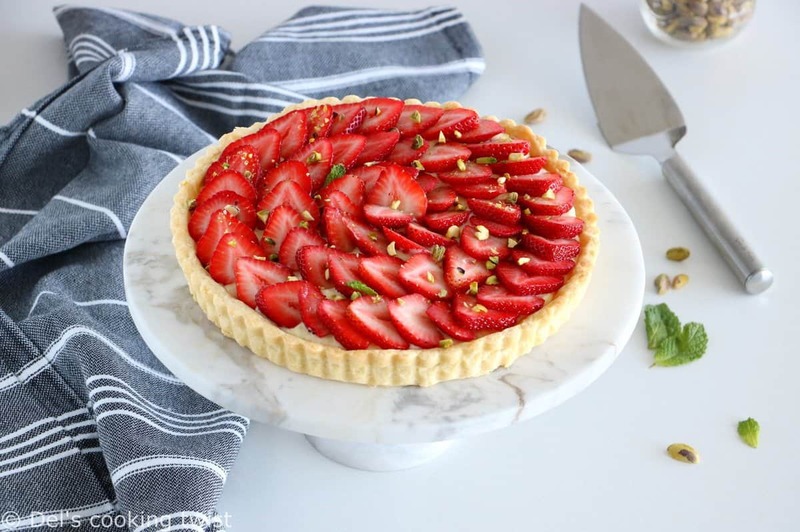 If you are French or lived in France for a while, I’m pretty sure you know what I’m talking about here, as we all have some sweet memories linked to the traditional homemade French Strawberry Tart. 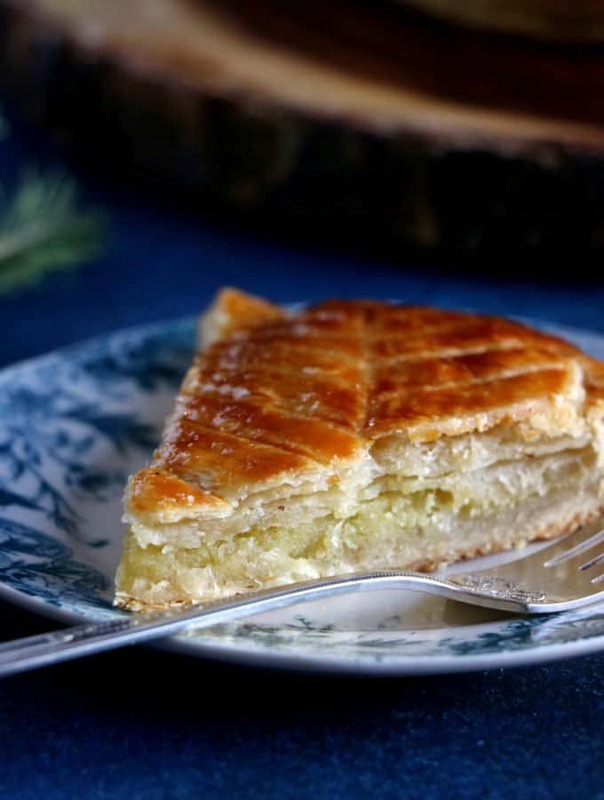 As a child, a teenager, or an adult, this tart is back year after year, and for some reasons we never get tired of it and instead love it very much. The one I am suggesting here is very close to the one I am used to, and I didn’t bring any additional change. Everything is simple and entirely homemade, from the crust to the delicious vanilla pastry cream. We usually start with the crust, which is a so-called “pâte sablée”. This might sound advanced and fancy to you but it is indeed quite easy to prepare. Just mix all the ingredients following the recipe instructions, wrap the dough in between two cling film sheets, flatten it lightly with your hand, then place in the refrigerator for about 30 minutes. Use then a rolling pin to flatten the dough completely, still in between the cling film sheets (in order to prevent the dough from sticking to the rolling pin). Remove the cling film and carefully transfer the crust to a tart pan with detachable bottom. The particularity of the pâte sablée compared to other pie crusts is that you can bake it “à blanc” as we say in French, meaning that you bake it as it is first, without adding the filling. For this step, we usually prick the tart with a fork in France, but I personally prefer to use ceramic pie weights over a piece of parchment paper lining the pie crust. Bake for about 10 to 15 minutes, keeping in mind that the crust must be slightly golden but not too much or it will collapse when you then will try to slice it. If you use a tart pan with detachable bottom, you can transfer the crust to a cooling rack while you are busy preparing the pastry cream. I have tried many different pastry cream recipes over the years, just because I’m curious, not because there were bad. For this specific recipe I went for French Pastry Chef Philippe Conticini version. 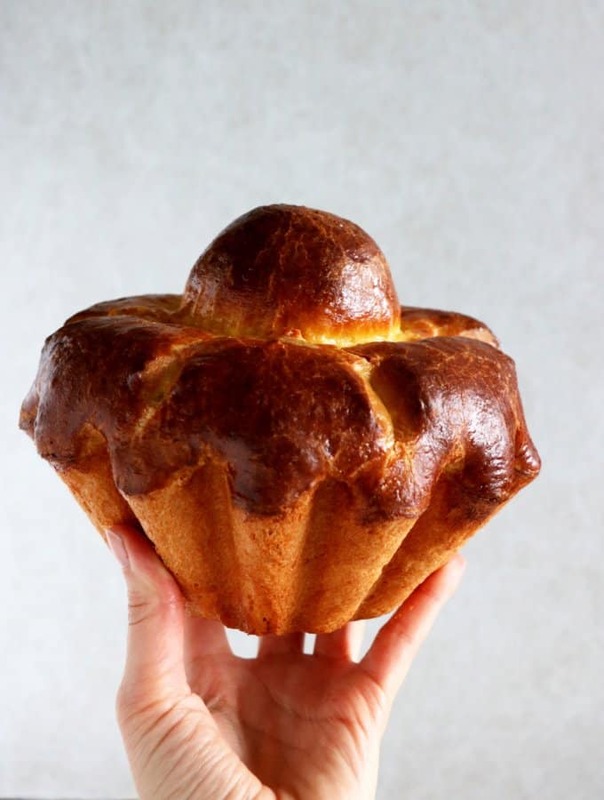 I am lucky enough that I once tried his pastry cream in a cooking demo he was giving in France and I remember that I liked both its texture and sweet vanilla aroma very much. To make sure you do not miss any step in the recipe and if you speak/understand a little bit of French, you can follow this little video where he explains the recipe, step-by-step. You will notice that I used here a little bit less vanilla than he recommends, as it seemed a lot and rather expensive to me. In any case, please do not use vanilla extract in the pastry cream. Of course it works, but the taste decreases considerably in term of quality; nothing’s better than the natural vanilla aroma. Once the pastry cream is ready, cover with cling film, creating contact with the cream, let cool, then generously spread over the pie crust. Top with fresh strawberries, sliced or cut in half, depending on your own personal preferences. As a final touch, you can if you want brush the strawberries with a quick water-sugar syrup. 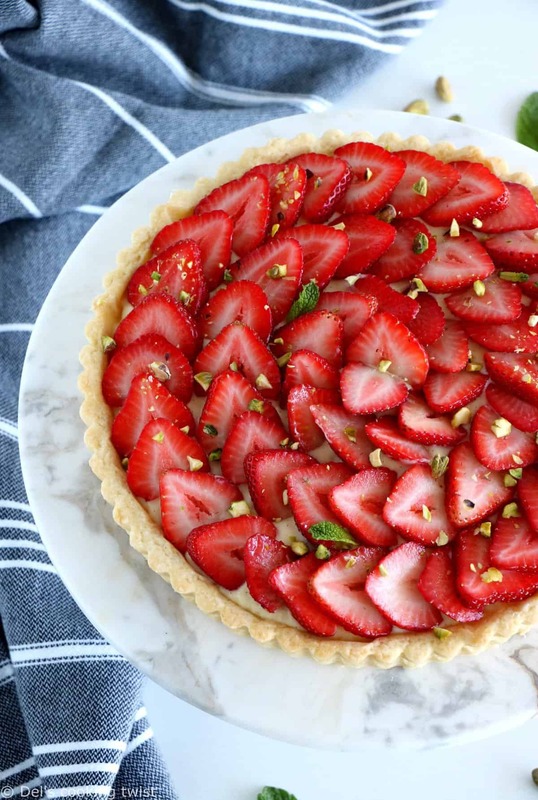 It will give a beautiful glaze to your tart and bring some additional sweetness if your strawberries are not dark-red in color already. I usually skip this step, enjoying the natural taste of strawberries, but it is completely up to you to use the syrup if you want. 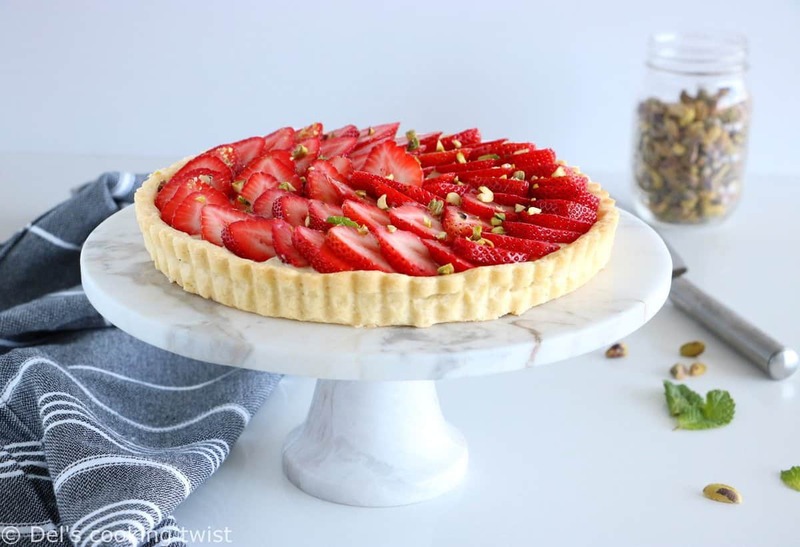 It’s soon Mother’s Day in Europe and a great way to enjoy this Strawberry Tart very soon. Enjoy! Sift the flour over a salad bowl. Cut the butter into small pieces and work it with your fingertips with the flour until you get a sandy texture. Dig a well in the center and break the egg . Pour the sugar and mix all the ingredients with your fingertips. Don’t overmix. Flatten the dough with your hands unil it comes together. Roll into a ball, then quickly flatten the dough between two sheets of cling film. Refrigerate for 30 minutes. Preheat the oven to 350°F (180°C). Grease a 9 or 11-inch tart pan with removable bottom. Using a rolling pin, flatten the dough between the sheets of cling film into a large disc. Remove cling film and transfer the dough into the tart pan. Line the bottom of the crust with a piece of parchment paper and spread ceramic pie weights on top. Bake for about 15 minutes, until lightly golden. Cool for a few minutes, then transfer to a cooling rack to cool completely. Pour the milk into a saucepan together with the vanilla pod and seeds. Stir and heat the mixture over medium-low heat until it slightly starts bubbling. Meanwhile, whisk yolks and sugar in a bowl until pale and fluffy. Whisk in the flour and cornflour. Very gradually pour the hot milk over the yolk mixture, whisking constantly. Pour the mixture back into the saucepan, and cook for about 3 minutes, stirring constantly. Turn off the heat, stir in the butter and Grand Marnier if using, and stir well. Remove the vanilla pod, and transfer the pastry curd into a cold bowl. Cover with cling film, creating contact with the cream. 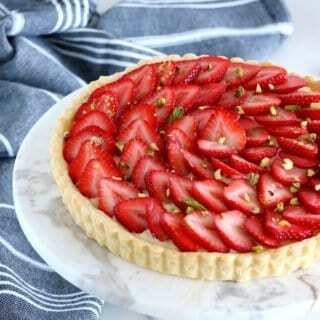 Spread the pastry cream over the crust, then arrange strawberries cut in halves or slices over the cream. * The authentic pastry cream doesn’t require Grand Marnier but I personally like to add a dash of Grand Marnier. It gives a lovely kick to the cream! ** As a final touch and/or if your strawberries are not sweet enough, brush them with a simple syrup made of sugar and water. 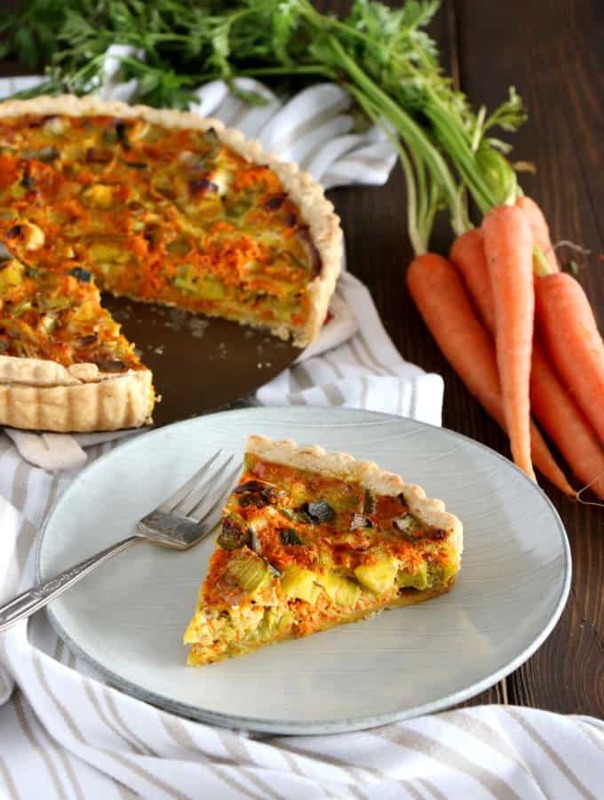 Your tart will look sumptuous! Merci beaucoup, je suis heureuse qu’elle te plaise! Hello! I have made this before and it was delicious! I was wondering if I can double the recipe?